In this guide, I will discuss about How to Create Child Theme in WordPress. Will also learn How WordPress Child Theme works and Why you should use a Child Theme in WordPress. You might know that using child theme is the most easiest and recommended way to modify/customize your WordPress theme without editing your original theme files. I will share two methods to Create Child Theme. First one would required some coding and manual work. And In second method I’ll share two most reliable Child Theme Plugin for WordPress. First of all, you should understand what is a Child theme? Child theme is a separate customized theme along with the functionality of parent theme. When I say customized theme, that means you can build a customized theme based on an existing theme. Add new styles or change functionalities as per your requirement without losing or editing the core files of parent theme. When you create a child theme and activate it, WordPress first check the child theme for styles and functionality. If WordPress did not find the necessary theme files in child theme, than it look into the parent theme for necessary files. Suppose, if your child theme has a customized “index.php” file, WordPress will use the same instead of using “index.php” form parent theme. And if “index.php” file did not exist in the child theme folder, WordPress will use the file from parent theme folder. Isn’t this the great functionality? You only need to customize what you want. 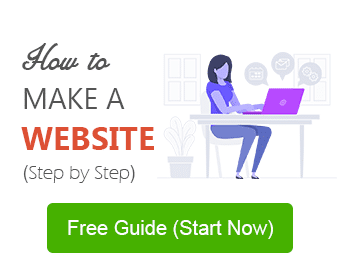 Every individual like you and me, who own a website, treats it as a valuable asset. And for most of us, blogging is one of our source of income, you can correct me if I am wrong. We always wanted to have the flexibility to build our website as per our requirement and choice. Child theme gives us that freedom without compromising the risk of losing parent theme functionality and security. You can customize your parent theme directly, but when you update your theme, all customization will be lost. Even if you want to customize small piece of code, I recommend you to use a child theme. As it gives you the freedom to update you theme without losing your customized code. And secondly, as you are not going to mess-up with the core theme files by using a child theme. At any time, you can go back to parent theme without any hesitation. In this Modern age, technologies are emerging day by day and so does increasing the risk of using technology. WordPress releases new versions in every six months with improved functionality, fixing of bugs and with more security. So, our website theme should also be aligned with new version of WordPress. And that is why theme development companies or individuals releases required theme updates with new security patches and functionalities. Therefore, You should update your theme and plugins on regular basis to avoid WordPress compatibility errors and because you are using a child theme, your current design and functionality will be the same. Here, I will share two commonly used methods to Create Child Theme in WordPress. One without plugin and one with plugin. In order to Create Child Theme in WordPress without plugin, you only need to create two files i.e. style.css and functions.php in Child theme directory/folder. 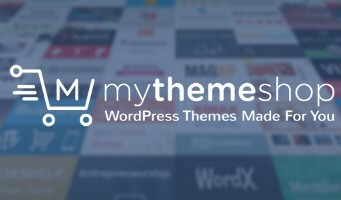 Create a new theme folder in your themes directory “/wp-content/themes”. And rename it i.e. motive-child (your_parent_theme_name-child; replace your_parent_theme_name with your parent theme name. In this example parent theme name is motive). Create a new stylesheet in the child theme folder (i.e. motive-child) and rename it to css. Copy and paste following code in style.css file. You do not need to write all the details mentioned in the above given code, WordPress only requires Theme Name (name of your child theme) and Template (name of your parent theme). Description, Author, Version, Tags are optional you can add or skip these details, it is up to you. And you are done. You have successfully created a child theme. Go to the WordPress dashboard, look for Appearance>Themes and you will find your new child theme “motive-child”. Activate it and check, it should work properly. You will notice that your child theme does not appear with a screenshot in the theme panel (Appearance>Themes) but your original theme does have a sample screenshot. You can also add any image or your websites screenshot into your child theme. Upload an image or screenshot in child theme folder (i.e. motive-child) and rename it to “screenshot.png”, now your child theme will also appear with your uploaded image. Now you can customize most of the files of your parent theme, i.e. header.php, footer.php, single.php, sidebar.php, index.php, loop.php, includes/authorbox.php etc. by copying the parent theme file in child theme folder. Just copy and paste the original theme file i.e. single.php into your child theme folder and customize it as per your need. Make sure you are using the right path, if you want to customize authorbox.php and this file exist in a separate folder i.e. includes/authorbox.php in parent theme folder, you need to create the same folder in child theme folder and copy the original file. If you are a beginner, I would recommend you to use a WordPress plugin to avoid errors. There are plenty of Child Theme plugins available on WordPress, I would recommend you to use plugin called One-Click Child Theme. This tiny Child Theme Plugin is really simple and easy to use. It Create Child Theme in WordPress in just one click. It can also copy other parent theme files in one click only. And it also have the functionality to capture a screenshot of your website and set it as your child theme image. See how it works in the below given pictures. Install and activate One-Click Child Theme WordPress Plugin from WP Repository. Go the the Dashboard > Appearance > Child Theme. Now enter your child theme name, enter description, author name and click on the Create Child button. See below image for steps. There is another popular Child Theme Plugin called WP Child Theme Generator is available on WordPress Plugin Directory for free. You can give that a try too. Hope you like this guide, don’t forget to share it and let us know your feedback in the comments section below. Have a great day and good luck with your child theme and WordPress customization. Very brilliantly explained. I hope it will help me to get blog of my desire. Thanks Saurabh K.
Thanks for the instructions. It helped me to create child template.